Tourism to Colombia is booming. Hacienda Bambusa is essentially already full for January and February of 2018. Remember to take advantage of the special 25% discount at Bambusa from mid April through the end of June. An updated 2018 Rates Sheet can be downloaded here, which includes details on this discount. Construction of the new dining room at Hacienda Zuleta is complete and guests are now enjoying more space and seating options. Guests can choose to dine family style with others or select individual more private tables, even outdoor patio seating. Have a look at the new dining room below and then read about options to visit Zuleta for the day, for those that can't swing an overnight. If you have travelers who will just be in Quito for a night or two but want to venture out of the city, consider Hacienda Zuleta's new "dine & learn" option. Designed for travelers who can't stay at the Hacienda but want to have lunch and learn about the property's rich history, the experience lasts four hours and includes a homemade three-course lunch. Optional add-ons include a bike or horseback ride in the surrounding region or a guided visit of the cheese factory and embroidery workshop. A great option for travelers just stopping over in Quito on either end of a Galapagos trip - we bet they'll want to return to Zuleta! Net rates start at $90 per person and can be booked via your Ecuador Tour Operator or DMC. You can now venture behind the scenes of Mashpi Lodge on Netflix. The BBC series "Amazing Hotels" is newly available for Netflix subscribers. You can also delve behind the scenes with "The Mashpi Project", the title of a photography book due for publication in 2018 that showcases the unique and often difficult to spot members of the Choco Ecosystem. The project brings together both Mashpi staff and award-winning photographers and graphic designers and 50% of all sales proceeds will go towards funding conservation efforts at Mashpi. For a sample of the stunning wildlife photography and more about the project, read The Mashpi Project post on Mashpi Lodge's blog or search #themashpiproject on Instagram. Our annual Ecuador and Galapagos FAM trip is now set for May 4th-13th, 2018. This trip stays at Casa Gangotena, Mashpi Lodge, Galapagos Safari Camp and Hacienda Zuleta. If you are interested in being considered for this trip, please express your interest via email and also provide a bit of history on your current and prospective Galapagos and Ecuador bookings. Enjoy this short new promotional video from Galapagos Safari Camp. December 6th is Quito's official day of founding but the city devotes the whole first week of December to celebrating the "Fiestas de Quito." If you'll be in Quito during this celebratory period, be sure to check out Casa Gangotena's blog post on the "Top Things to Enjoy During Fiestas de Quito." From drinking hot canelazo to riding a chiva to learning how to play cuarenta, these tips will have you partying like a local. As most of you know by now, Awasi Iguazu will open its doors for public bookings beginning February 5th, 2018. Rates and booking details are available for download via this link. An extensive Fact Sheet and a presentation of the property with information on the common areas + blueprints of the villa layout can be found by clicking on the respective imbedded links. I'm heading down to experience the property in late January and will send a full update + schedule of webinar trainings after my return. Award-winning National Geographic photographer Keith Ladzinski is currently at Awasi Patagonia documenting the wildlife and landscapes. Follow their facebook page for the latest photos from Keith and check out his awesome time-lapse of a windy morning in Torres del Paine, shared via Instagram. Titilaka will take care of your guests in Lima! Guests booked for stays at Titilaka occurring from January 15th till March 15th of 2018 will receive complimentary hotel nights in Lima. Three nights in Titilaka equals 2 complimentary nights in Lima or book 2 nights Titilaka and receive 1 complimentary night in Lima. Titilaka also has availability over Christmas and Easter Week 2018 as of this writing. Two rooms are available from December 20-27th, 2017 and four rooms are available from March 25th to the 31st. Easter Week is an excellent time for guests interested in cultural traditions as nearby Puno is renowned for its Semana Santa (Holy Week) festivals and parades, which present a colorful blend of Christian and Andean customs and symbolism. Considering Titilaka and Lake Titicaca as part of a family trip to Peru? Tara Cannon of Pint Size Pilot wrote about her family's recent stay at Titilaka on her blog. Hotel B has curated a series of excellent experiences that highlight the world-class culinary scene of Lima. Read the full blog post for details on their market visits & cooking class or shorter craft cocktail lessons, a fun way to kick off or end a trip to Peru. December marks the return of Hotel B's beloved 'Christmas Tea' available daily from 4:30 pm to 7:00 pm. Think full High Tea service with a festive twist. If you have guests staying at Hotel B in December, make sure they are aware of this offer as reservations are suggested due to the popularity. It's an excellent experience to return to after a day of exploring Lima. Tara Cannon of Pint Sized Pilot recently traveled to the Peruvian Amazon and stayed at Inkaterra Reserva Amazonica as part of their family trip to Peru. Read Tara's take on exploring the Amazon with children on her recent blog post. For our "The People Behind the Experience" series, we recently interviewed Luisella Garmendia, General Manager at Inkaterra La Casona in Cusco. 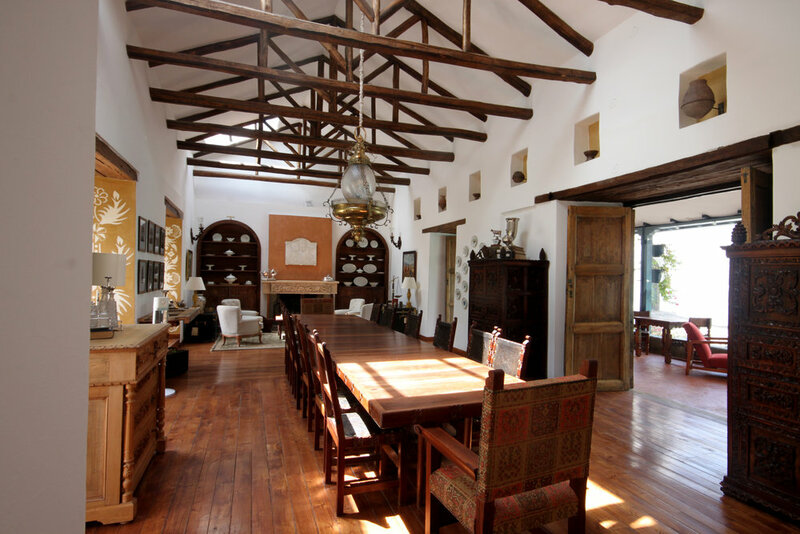 Learn more about Luisella and the fascinating history of the La Casona building on the CK blog.